Figure 1. An early sketch of Decoration Day. Memorial Day is a US holiday honoring those who died for their country during its armed conflicts. The holiday began after the Civil War, but for decades it was not a holiday. Over time, its meaning has also signified the unofficial start to summer in the United States. In the first few years after the Civil War in the 1860s, the sheer number of people who died during the conflict was still a difficult experience for many American families. The war had led to many people taking time to remember their dead, during spring as flowers blossomed, and lay small floral commemorations on their fallen loved ones. People would also gather, often entire communities, to clean the graves of fallen loved ones and make sure the graves were looked after. 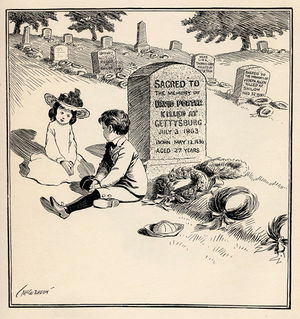 The practice of laying flowers on graves is a very ancient tradition and, by May, all across the United States flowers were ever present. This began to make May a type of unofficial commemoration of the dead in times of war, at least for some communities, particularly in remembering the Civil War. Most likely, no one single community started the practice of celebrating their loved ones in the spring, but it was likely widespread. Some have said that this is when the commemorative day began to be called Decoration Day. In fact, it could be an originally Southern tradition, where it meant you would clean and decorate the graves with flowers for fallen soldiers. However, it was not celebrated on a specific day (Figure 1). A key turning point in making the end of May, and eventually the last Monday of May, the official holiday was General John Logan's directive. A prominent Union Civil War general, he established May 30th as the day to remember fallen soldiers in the military. He did this in 1868, by which time many had already been decorating graves of fallen loved ones during the month of May. General Garfield, another general from the Civil War and later 20th president who was assassinated in office, made the first semi-official speech in 1868 on May 30th at Arlington Cemetery. There, over 5,000 people came who were relatives for both sides of the conflict to commemorate the 20,000 soldiers buried there. While the early celebrations of what initially became Decoration Day were celebrated by many Northern states, the celebration of May 30th did not catch on as prominently in the South. In fact, Southern states often had similar celebrations but they held them on different days. Some of the traditions in Southern states that differed, such as communal decoration and cleaning of graves, continue to this day. In the North, individual states adopted May 30th as an official state holiday, but at a federal level it was not recognized. Perhaps this was due to lingering bitterness between the North and South, where states in the South preferred to have their own Decoration day. The bitter years of Reconstruction and white bitterness towards freed slaves did not help, and animosity such as derision of so-called Carpetbaggers from the North moving to the South reflected the years after the Civil War were difficult, where socially the country was still divided. Decoration Day, nevertheless, developed as a specific holiday devoted to the lost in the Civil War rather than other conflicts, as that war was by far the bloodiest in the United States' history at that point. Figure 2. Decoration Day soon began to change to celebrating all war dead at the time of World War I. What began to change the meaning of what was then called Decoration Day were the events of World War I (Figure 2). Once again, a bloody conflict consumed the United States. While World War I was not a very long war for the United States, it did endure relatively heavy casualties in the tumultuous last year of the conflict. Many families endured great loss, with over 116,000 deaths overall, although many of those were due to disease, including the pandemic flu that had struck during the war. That the large number of dead were soldiers from throughout the United States, in a way did help the country come together after the the Civil War had led to bitterness. People began to celebrate not just those who died in the Civil War but also World War I and other conflicts, including more minor ones such as the Spanish-American War, where all fallen soldiers began to be remembered. Decoration Day on May 30th began to be celebrated across the United States and not just the North. With the growing popularity of celebrating the war dead on May 30th, the holiday became official at the state level in many places. The holiday gained even more popularity after World War II, when another great conflict had consumed so many individuals. As nearly every state had adopted May 30th, this made the holiday fixed for many. One problem, however, is May 30th often fell on different days throughout the week, where individuals, particularly those who began to travel for work, found it disruptive. For many, it was an important day to come to specific graves to remember the fallen. Many people began to not only visit graves of fallen soldiers but also their loved ones who died of other causes. In effect, it began to be more of a commemorative day for departed loved ones for many as well as a day to celebrate soldiers who died in conflict. For those who traveled for work or who had moved, it was often difficult to visit the graves of their departed loved ones or fallen soldiers. Other traditions had also caught on during this time, such as placing small US flags on war-related graves. This seems to have caught on by World War II, where active service members would remember fallen soldiers by placing flags. The general public began to follow this practice. In 1968, Congress moved to make what was now becoming called Memorial Day a uniform holiday. The last Monday of May was chosen as it was the closest date to May 30th, the timing would give workers a three-day weekend and ample time to celebrate their departed loved ones. In some ways, the act by Congress could have been prompted by what was becoming an unpopular war in Vietnam. Nevertheless, the Uniform Monday Holiday Act, which was the act passed by Congress that made the day a federal holiday, took some years before it went into effect. In 1971, the first federally recognized Memorial Day occurred on the last Monday of May. For many, Memorial Day has continued to be an occasion to visit departed loved ones. City parades, which had already developed in the years after the Civil War with military-style affairs, continued and were elaborated on the tradition now that it was a federal holiday. Chicago, New York, and Washington often have had the biggest parades. The tradition of having an official commemoration at Arlington National Cemetery, which was a cemetery established in the Civil War, included the president making a speech. Now, it has become almost expected for the president to visit Arlington National Cemetery to make a Memorial Day speech to remember fallen soldiers from past and often, these days, current conflicts. Barbecues and family gatherings were established as long weekends began to be the norm in the 1970s. Already in the earlier years people had gathered for family meals that sometimes included barbecues on Memorial/Decoration Day. For many, the occasion also often marks improving weather and a long, three-day weekend offers opportunity for mini-getaways. This began to make Memorial Day the unofficial start of summer, where many colleges had by then finished their courses. During the Vietnam War, not only did the dead gain national attention during Memorial Day, but prisoners of war (POWs) and missing soldiers were a major concern. Memorial Day was seen as an opportunity, by veterans associations and families in particular, as a time to remember the missing and POWs and not just the officially dead. Thus, today Memorial Day is often a time to reflect on those who might still be missing in conflicts as well as those who have been official listed as dying in battle or as a casualty of war. The nature of conflict, from the Civil War to World War I and then the Vietnam War, in some way changed the character of Memorial Day. It is true that the core celebration of the dead who served their country has never changed, but conflicts began to also be known for those who went missing, particularly the Vietnam War. Others also began to see the holiday as a time to reflect on their departed loved ones. 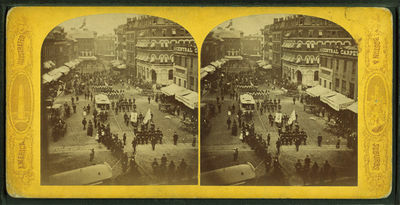 What began as an unofficial spring time for remembrance transformed into a widespread holiday and celebration after General Logan's declaration. The years after World War I finally saw the holiday gaining greater significance to some Southern states and beginning to reflect the remembrance of dead in all conflicts. ↑ For more on the origins of Memorial Day, see: Ansary, M. T. (1999). Memorial Day. 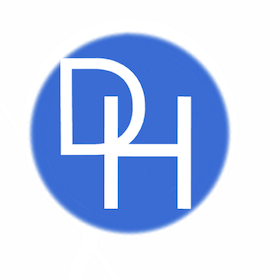 Des Plaines, Ill.: Heinemann Library. ↑ For more on how General Logan helped establish the date of May 30th as Decoration Day, see: Schauffler, R. H. (2013). Memorial Day (Decoration Day) Its Celebration, Spirit, and Significance as Related in Prose and Verse, with a Non-Sectional Anthology of the Civil War. Nabu Press, pg. 10. ↑ For more on the early traditions of Decoration Day, see: Jabbour, A., & Jabbour, K. S. (2010). Decoration day in the mountains: traditions of cemetery decoration in the southern Appalachians. Chapel Hill: University of North Carolina Press. ↑ For more on the role of World War I on Memorial Day, see: Margaret, A., & Margaret, A. (2002). Memorial Day (1st ed). New York: PowerKids Press, pg. 12. ↑ For more on Memorial Day traditions that developed in the 20th century, see: Ditchfield, C. (2003). Memorial Day. New York: Children’s Press. ↑ For more on Congress declaring the official federal holiday of Memorial Day, see: Dean, S. (2011). Memorial Day. New York: Gareth Stevens Pub. ↑ For more on Arlington National Cemetery's history and role in Memorial Day, see: Poole, R. M. (2013). On Hallowed Ground The Story of Arlington National Cemetery. New York: Bloomsbury Publishing USA.